Owls hold a great fascination for many of us. They are amazing birds, since they can hunt at speed with great precision in the dark - and an owl experience will give you the chance to get close up to these wonderful creatures & to find out more about them. 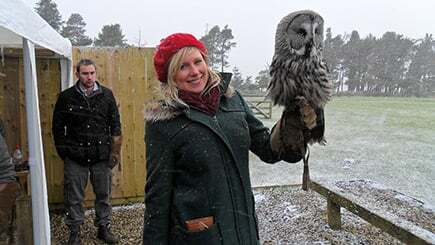 There are opportunities to get to know these amazing creatures better and there are plenty of experience days you can treat a bird lover to - some are specifically with owls, while others include owls and other birds. Owl experiences make great gifts for bird lovers, animal lovers or anyone who wants to get closer to nature and discover more about these beautiful birds. Please read the T&Cs, key info/need to know notes before you buy. This is a great chance to meet owls from the small Barn Owl to the large Eagle Owl, and learn about their lives and habitats during this 1 to 2 hour experience. After some basic handling instruction, experience the thrill first hand as you fly them loose and have them return to your gloved fist. The span of an owl's wing is just incredible and this is a superb way to really appreciate the wonders of these incredible birds. Discover all about native British species including the Tawny, Long Eared, Short Eared, Snowy, Little and Barn Owls. Under the guidance of an expert, meet owls at the sanctuary that have been rescued, including a Vermiculated Eagle Owl from Africa. This is a great opportunity to find out why these majestic aniamls ahve such soft feathers and large eyes; you'll see them flying free and get involved first hand! There are lots of photo opportunities and tea and coffee too. Marianne Taylor explores this special bird's biology, behaviour and history with more insight into conservation in Britain and abroad. With interesting facts and beautiful photographs of the five British species, the book also looks at their anatomy, nesting and migration patterns. You can buy this book from the RSPB and support conservation with your purchase! There are more owl-related gift ideas from the RSPB's Online Shop here. This 6 hour experience gives you a great chance to get to know some awesome birds of prey and discover all about the relationship between a falconer and his falcon. Find out about the talent and abilities you need to handle these birds - and the conservation work being done to help them. There are 14 centres to choose from on this bird handling and bird flying experience, and expert advice & tuition on hand. Go to Virgin Experience Days for more info and to buy this gift. There's also a Falconry Taster on offer for only £19.50 with 7 locations available! 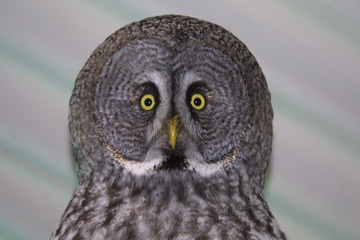 In all instances, please check the key info/notes before you buy and also do a final check that the locations of these owl experience days is right for you on the relevant site you click through to from here. We are not responsible for any change in venues. Thank you.